NVIDIA has been in the industry of performance processors and graphic cards for some time now, carving a place for itself in the ecosystem. But NVIDIA wants to go beyond what has been considered traditionally their territory. The company is currently focusing a lot of its efforts into its mobile division. Granted, things might have started slowly for the chip-maker, at first because some of its earlier products ended up in unknown devices such as the Microsoft Zune but slowly the company picked itself up and started catering to tablets and Android gaming consoles. The company also pushed out a tablet of its own and based on the time we spend with it, we can say the Tegra Note 7 is quite a great product, coming at a super affordable price-tag. However, NVIDIA chips haven’t seen much success in the smartphone department. Some of you might be familiar with the Tegra 4i program which was the company’s attempt to infiltrate the ecosystem, but sadly the project attracted quite a few partners and only a few truly interesting products were launched under the banner, like the LG G2 Mini. But even if at one point, NVIDIA was said to be abandoning the smartphone race in order to keep focusing on what it was getting pretty good at, meaning tablets, a new rumor recently surfaced claiming otherwise. Apparently, NVIDIA is not ready to call it quits and will be trying to penetrate the smartphone world with high-end performance focused models with 4G LTE. But will this be a success story? A big reason why we don’t see NVIDIA chips in smartphones too often is due to their pretty high cost. 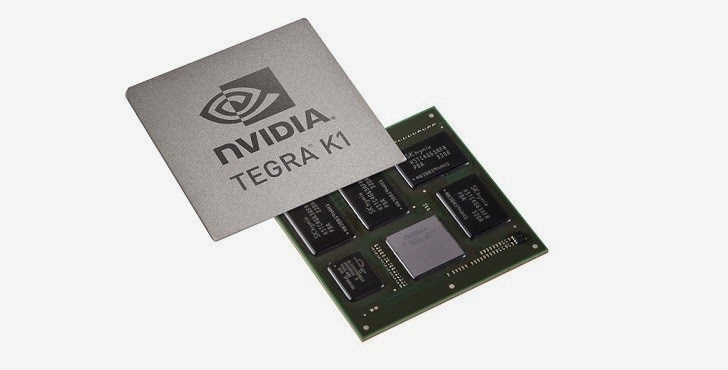 NVIDIA’s current Tegra K1 chip (both 32-bit and 64-bit) comes equipped with an ICERA modem, which significantly bumps up the price of the processor. On the other hand, the competition like Qualcomm integrates modems within their chips. And NVIDIA hasn’t much to brag about when it comes to its smartphone portfolio, so companies like the one mentioned above might have the upper hand just because they are a more common presence on the market. However, all is not lost for the company’s mobile ambitions. The Tegra K1 might still be put to good use, but in tablets. Strangely enough, even as the chip architecture has been made available for a while now and proven to provide excellent performance, not a lot of device makers have readily jumped at the opportunity equip their products with the new Tegra. Most recently, Chinese smartphone manufacturer, Xiaomi introduced what could be called the first tablet running the platform. The device looks like a plastic colorful copy of the iPad mini with Retina display and offers great specs for a bargain price ($275 / €201). But this tablet isn’t currently being sold in the US just yet. Nevertheless, Google seems to have adopted the chip platform for its Project Tango Tablet Developer Kit. The effort, which aims to bring 3D mapping capabilities to tablets might bring about huge benefits for NVIDIA, if Tango manages to carve its way to the mainstream. Also, word on the street has it, NVIDIA might be making its way to the heart of Amazon’s Kindle Fire tablets, which are the retail giant’s most popular products to date. Another huge push forward for NVIDIA if that were to happen. Last but not least, NVIDIA will most likely soon launch the next-gen Tegra Note 7 which will certainly take advantage of the new chip. We have seen the tablet appear in benchmarks before and if all the above things add, we might see NVIDIA become quite a player in the tablet chip ecosystem.